SPOILER ALERT: Continue reading for minute-by-minute spoilers from Tuesday’s LIVE Veto Ceremony, Eviction, and Part 1 of the Endurance Head of Household Competition. You can watch the HOH Competition in real-time on the 24/7 live feeds. Make sure you sign up for the 3-day free trial of the live feeds so you can watch the competition play out on the 24/7 live feeds. 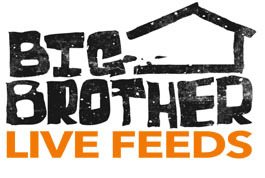 WeLoveBigBrother.com Finale Interviews: WLBB will be at the 2-hour Big Brother 11 finale (read more). Well be interviewing the BB11 houseguests in the backyard of the BB house and will post our interviews LATE on Tuesday, September 15th. Tell your BB friends that WLBB is the place to be on finale night! Will Tonight’s Live Eviction Pre-Tape One Hour Early?